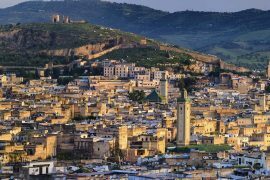 Fez Day Trip from Casablanca !!! 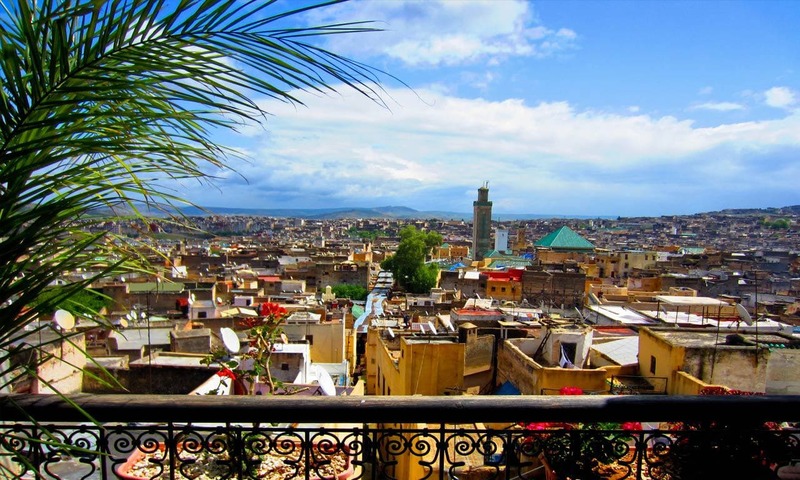 Fes day trip from Casablanca will lead you to explore the spiritual capital of the kingdom of Morocco. 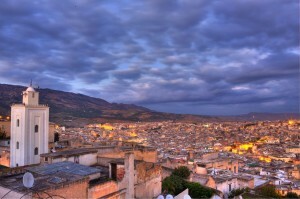 The main aim of Fez Day Trip is the exploration and the discovery of the medina of Fès el-Bali (Old Fez). 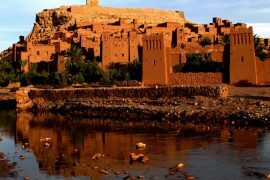 Your tour will lead you to the visit of the Medrassa Bou Inania, Nejjarine Fountain; Attarine Square, Karaouine Mosque (outside visit). The exploration will start at the Bab Boujlloud Gate. 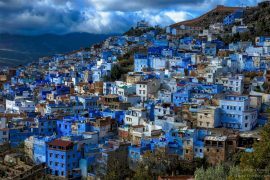 You will have the chance to admire the instrument makers’ souk before arriving at the Mzara of the ancient sovereign Moulay Idriss situated at the place where he took the decision to build the town. 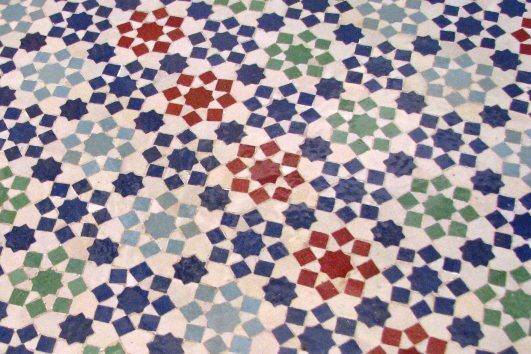 Then you’ll arrive in En-Nejjarine Square and the cabinet makers’ souk. The magnificent carved Foundouk on the square houses the Museum of Wooden Arts and Crafts. 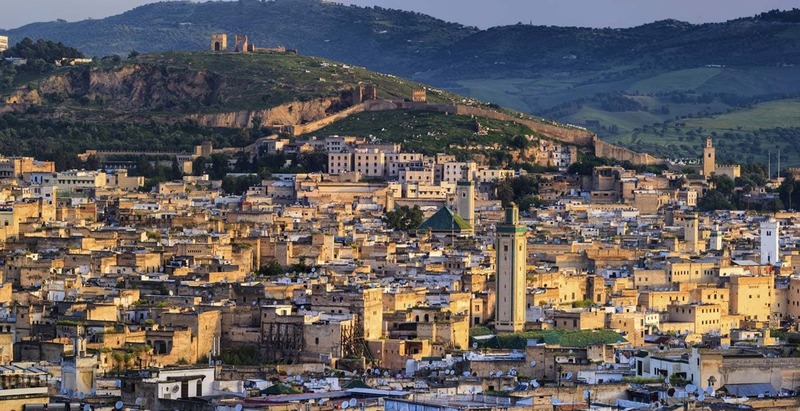 Next to it, you can admire the most visited and revered attraction in Fès: The Moulay Idriss Zaouïa, Your walk continues on to Es-Seffarine Square, the coppersmith square, and then to the tanners’ quarter situated just before the Andalusian quarter with its mosque and the Es-Sahrij Medersa. 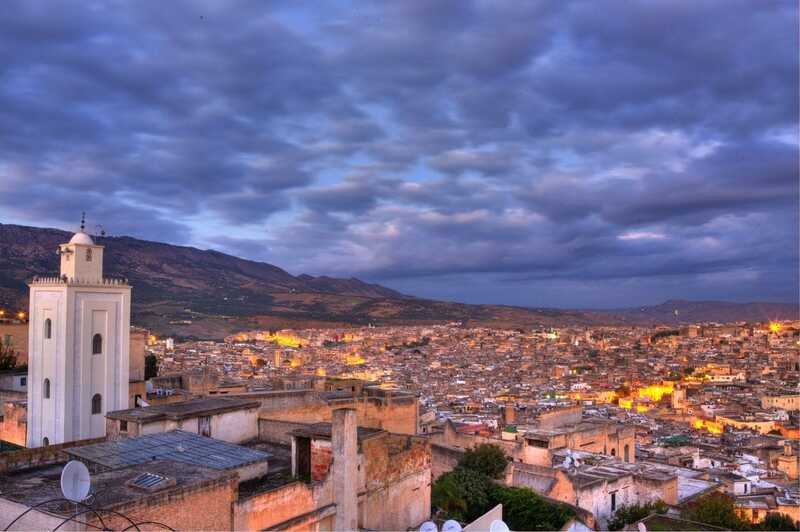 By booking Fez day trip, you will leave the history of the imperial city of Fez. 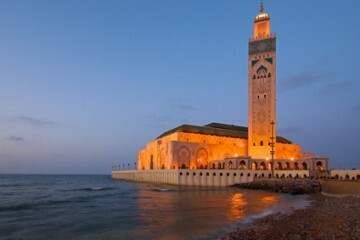 PUREMOROCCO driver will pick you up from your hotel in Casablanca. Departure to Fez via the highway. Upon arrival, you will be joind by your local guide before starting the visit. 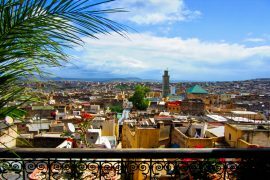 The main aim of this tour is the exploration and the discovery of the medina of Fès el-Bali (Old Fez). 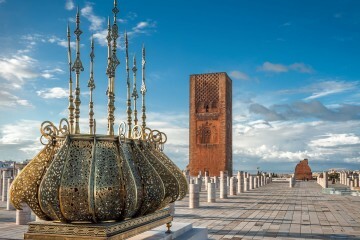 Your tour will lead you to the visit of the Medrassa Bou Inania, Nejjarine Fountain; Attarine, My Driss II Mausoleum, Karaouine Mosque (outside visit). The exploration will start at the Bab Boujlloud Gate. 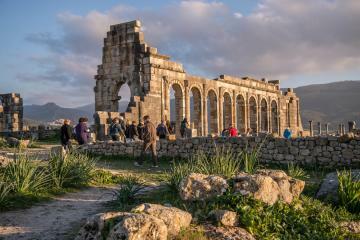 The first monument to visit is the vast Medrassa Bou Inania. 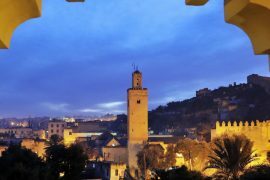 You will have the chance to admire the Tijani Zaouïa and the instrument makers’ souk before arriving at the Mzara of the ancient sovereign Moulay Idriss situated at the place where he took the decision to build the town. 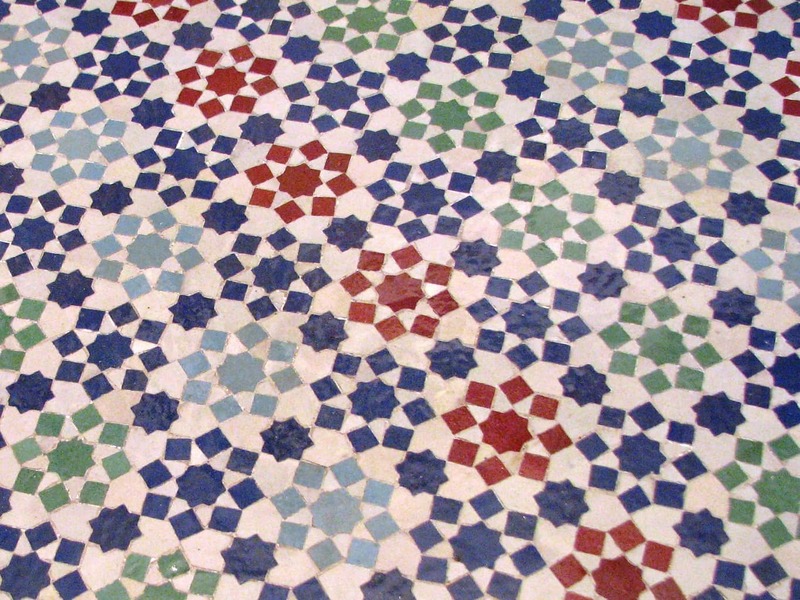 Then you’ll arrive in En-Nejjarine Square and the cabinet makers’ souk. The magnificent carved Foundouk on the square houses the Museum of Wooden Arts and Crafts. 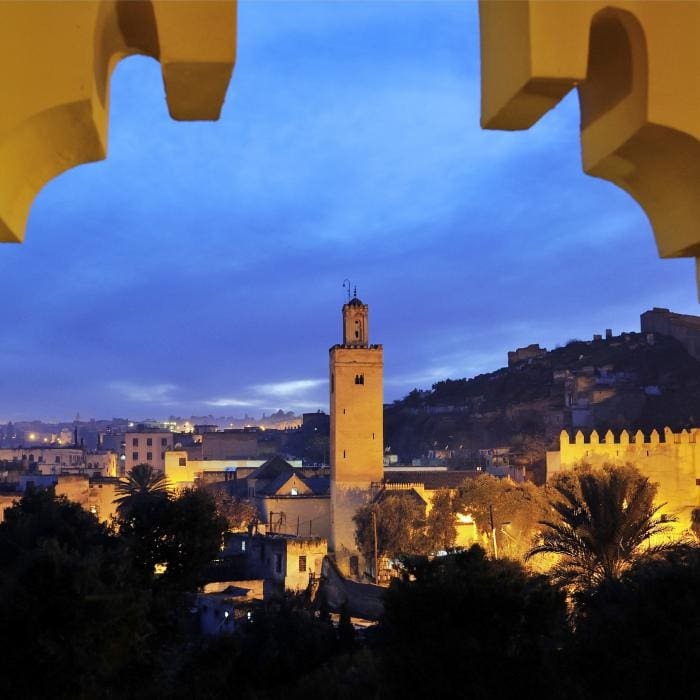 Next to it, you can admire the most visited and revered attraction in Fès: The Moulay Idriss Zaouïa, Your walk continues on to Es-Seffarine Square, the coppersmith square, and then to the tanners’ quarter situated just before the Andalusian quarter with its mosque and the Es-Sahrij Medersa. Optional Lunch. Your tour guide will advise you some good restaurants in the city. Continuation of the visit in the afternoon. 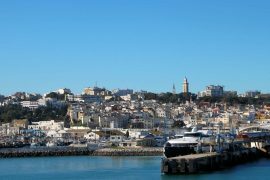 End of the visit and transfer back to your hotel or port in Casablanca. All published rates are quoted in USD, per person per booking, and are valid all year round, except during Christmas and New Year breaks.The minimum and max price depend on the number of travellers for each tour booking.